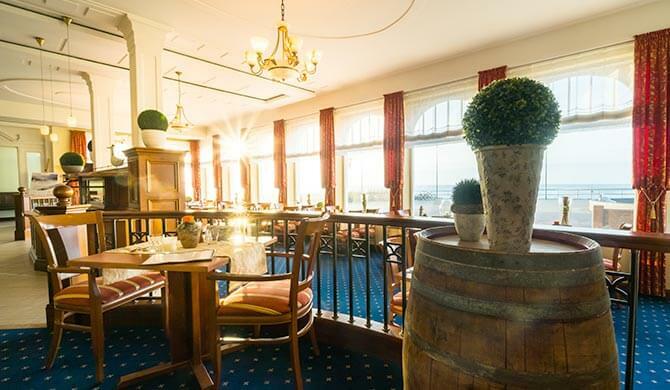 Warm hospitality, selected food and a place by the sea - look forward to tasteful evenings on Borkum. 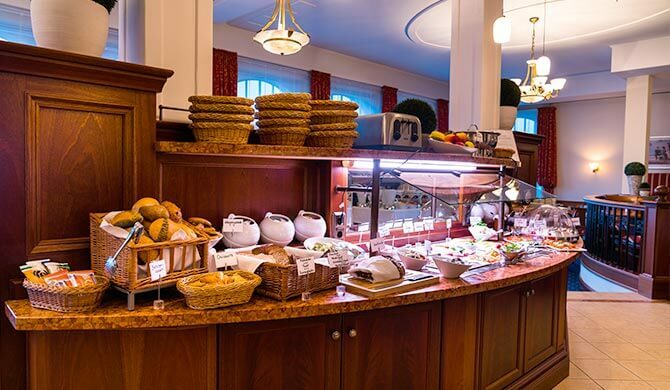 In our restaurant, we offer you a classical ambience with a feel-good character. 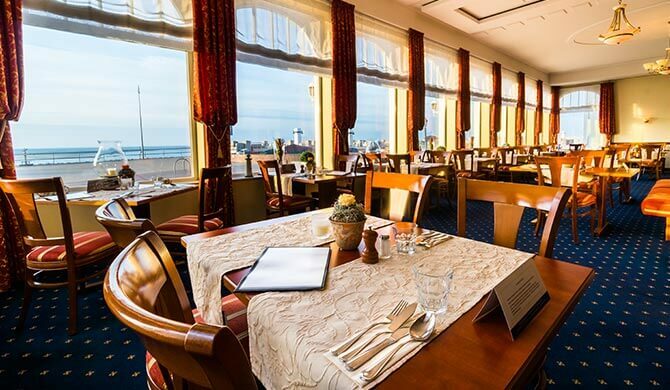 Warm colours, ample space, large windows and a view of the North Sea from every table invite you to spend romantic and convivial hours. Choose from our fine menu of seasonal dishes and classic dishes and be guided by the corresponding wine recommendations of the best wines. 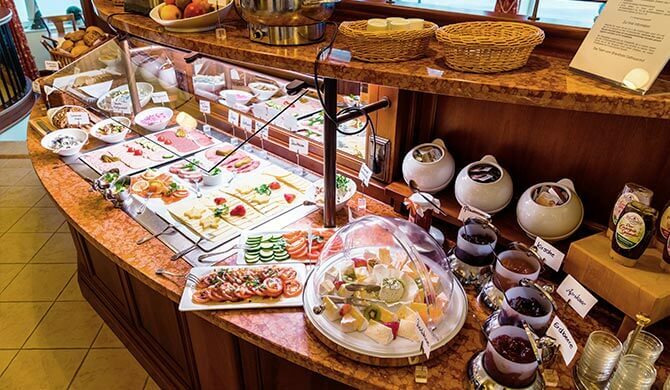 With us you will experience a fresh, lovingly managed cuisine, complemented by personal recommendations and an unobtrusive, friendly service team - a real pleasure. A freshly tapped beer or a Scotch single malt whisky? 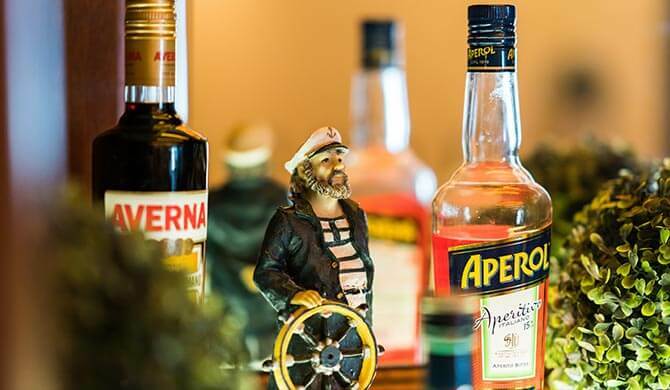 A cosy bar full of delights. 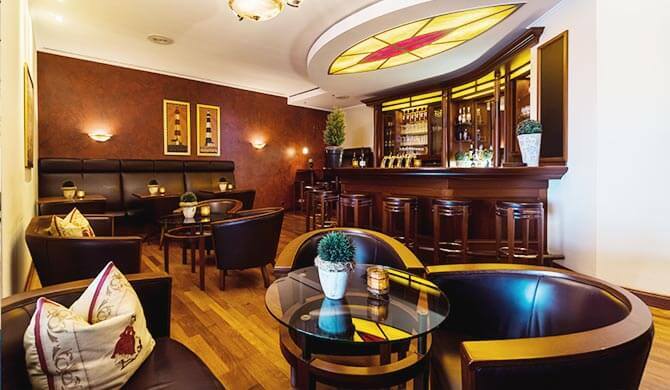 Cozy, rustic and elegant at the same time - in our hotel bar you will find a charming mixture of styles that combines the furnishings and atmosphere of an English pub with that of an old Viennese café. 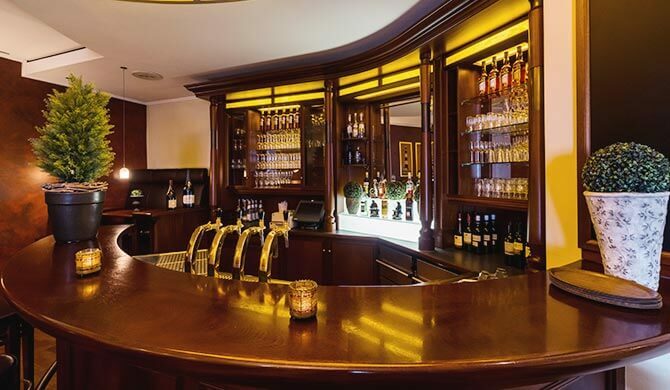 Experience convivial hours in our bar after a nice day of vacation, drink a glass of wine after an evening walk or enjoy your digestive after a tasty dinner in our restaurant.